To explore the startup ecosystem in Utah, we talk with Clint Betts, Founder and Editor-in-Chief of BeehiveStartups.com. Clint Betts says the startup community in Utah is forever indebted to companies like Novell, WordPerfect, and Dynix for establishing a strong tech ecosystem within the state. On October 23, 2009, Adobe acquired Omniture, Inc. in a transaction valued at approximately $1.8 billion. “I’m excited to be a part of the future, and to watch the community grow into something special,” Clint Betts said. “Growing Utah’s startup community while also helping to foster inclusiveness, collaboration, and encouragement is a big part of our mission at Beehive Startups. 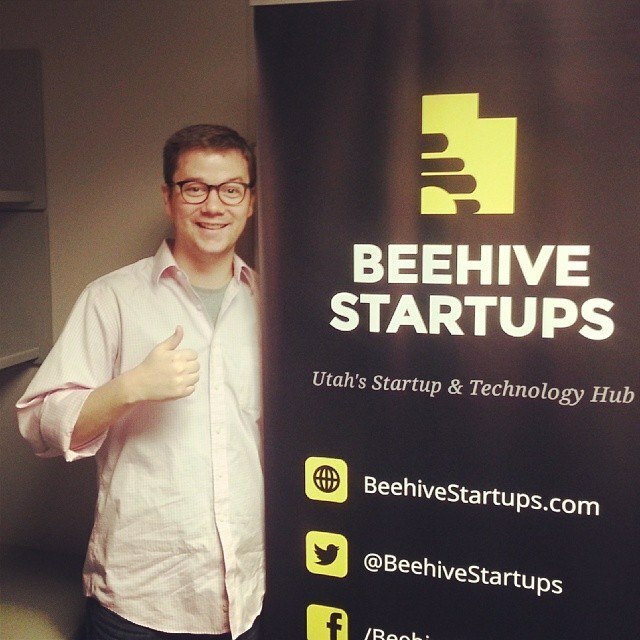 Beehive Startups is an independent organization committed to covering Utah’s startup and tech ecosystem. Clint Betts and his team spotlight Utah startups, organize events tailored to the startup and tech community, and report Utah startup and tech news. You will also find in-depth interviews with entrepreneurs on BeehiveStartups.com. He launched the site with Gabe and Jordan Gunderson, co-founders of Izeni, a custom software development firm located in Provo, Utah. Clint Betts explains that just like every startup community in the country, the state of Utah is struggling to become more diverse and inclusive. “We do have a number companies, entrepreneurs, and community leaders striving to make a positive impact, but — just like everyone else — we still have a lot of work to do,” he said. He says his hope is the state of Utah will one day lead the nation in the number of women and minorities who are not only members of the tech community, but hold prominent leadership roles. “It would be great to one day look back and say Beehive Startups played a small role in making that happen,” he adds. He explains that aside from promoting diversity, the state of Utah could always use more VC firms investing in local startups. “Lack of access to local funding is the biggest complaint I hear when talking to Utah startups and entrepreneurs. That said, startups should probably just focus on building an amazing product. If you do that, the funding will take care of itself,” he said. When asked about the teams he thinks are crushing it in the state of Utah, Clint Betts shouts out Cotopaxi, an outdoor gear brand with a social mission that just held an incredible launch event a couple of weeks ago. Lastly, he says he is a huge fan of HireVue and its founder and CEO Mark Newman. Clint Betts and his team say they have been impressed with everything that’s happening in the #VegasTech community. For those interested in what’s happening in Utah, he encourages entrepreneurs in Las Vegas to come visit the startup communities there. “Come to our events. Let’s be friends. Let’s collaborate when it makes sense,” he said. “We’re both in the middle of a tech revolution, and we’re both trying to figure out how to build a community we can be proud to call home. Let’s share ideas and learn from each other as we grow. Learn more about other startup communities! Follow our “Meet Startup Communities” series here.